With its pure, inviting design Silhouet fits beautifully in the kitchens and bathrooms of today as well as tomorrow. For the bathroom sink, Silhouet is available in four beautiful surfaces: Chrome, matt black, steel and brass. Moreover it comes in three different heights to ensure you can also use it with a tall, tabletop mounted vessel sink. The stylish Silhouet shower system features a showerhead that due to its ultra slim design appears to hover for an even more sophisticated look. Silhouet is the essence of timeless danish design and outstanding danish Damixa quality. 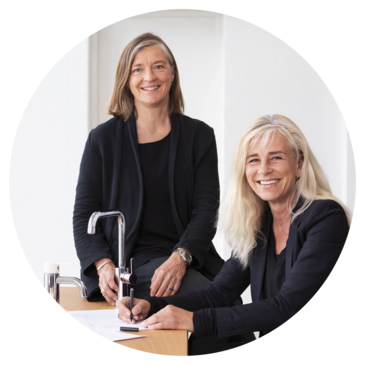 The goal with Silhouet for Damixa was to create a simple, modern and appealing series of taps and mixers, Christina Halskov explains:"The tap, whether for the kitchen or the bathroom sink, is a functional object as well as a design element in modern homes. We wanted to create a series of genuine, no-nonsense taps that are a pleasure to use in everyday life and will last for a very long time, both in terms of design and product quality." resistant to dirt and greasy fingerprints. extremely robust surface that easily withstands scratches, corrosion and discolouring. nostalgia. Silhouet in brass also features the extra tough and highly durable PVD coating.